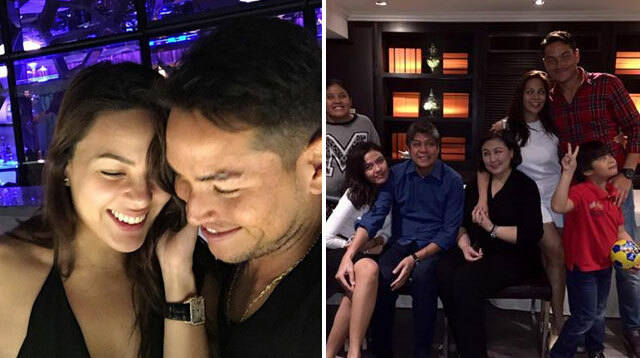 KC Concepcion And Aly Borromeo Spend Quality Time With Her Fam! It sure looks like KC Concepcion’s relationship to football star Aly Borromeo is getting ~*serious*~. In Sharon’s Facebook post, the Pangilinans + Aly were all smiles while posing for the camera. KC even shared a sweet snap of her little bro Miguel playing football with her beau, saying Aly is “the big brother [Miguel] never had.” Awww!